The Member of the Year is the highest annually awarded service recognition bestowed upon a member of the Society. The winner is awarded the coveted Purple Lanyard signifying the wearer as the best of the best and our top service recognition. This award may only be given to one person and to that person only one time. This award need not be awarded each year based on the merit of the membership. Individuals are selected for this honor by previous recipients of the award. Only upon unanimous support of the prior winners may anyone be given such honor. Renamed in 2013 after the passing of Honorary Member Robert E. Muench,The MVP Award is given to those Society Members who during the fall season have proven themselves to have gone above and beyond the call of duty. Additionally, Mr. Muench was always the MVP for every home and away game he attended during his long tenure as a volunteer in Cincinnati. His legacy demands high adherence to this level of support and volunteerism. This award is given by the DMS Executive Director or designee at the annual Gala to that member who has demonstrated superior attainment of the ideals of the organization. The Executive Director accepts nominations from others in the Society and determines the awardee based on that feedback. The Gold Baton is the highest Award bestowed upon a supporter of the Society and its purposes. Possession of this item signifies superior attainment of excellence in ones endeavors in support of the Society, beyond outstanding contributions, and an exuburant display of the spirit necessary to merit such honor. This award need not be awarded each year thus elevating its esteem. Individuals are selected for this honor by unanimous acclamation ONLY. Only upon unanimous support of the Society membership may anyone be given such honor. The DMS Pin is to be awarded to all Drum Majors to symbolize their participation in the Society, and demonstrate their dedication to serving its purposes. It recognizes one as an official, contributing member to the Society and its purposes. Possession of this instrument indicates the authority of the position of Drum Major. 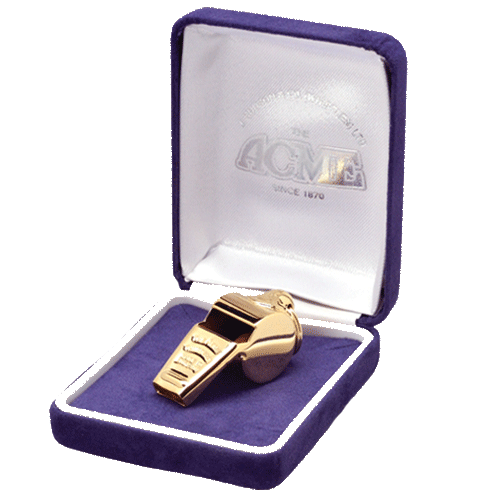 While in recent history the Acme Thunderer Whistle has become the command standard for most bands, the Gold Whistle symbolizes completion of a Drum Major’s tenure and recognition of their efforts while attending their institution. 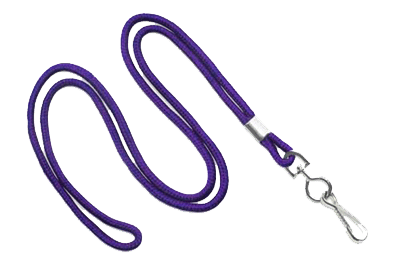 The award is adorned with the red lanyard to be worn as a symbol of one’s success.